We don't see as much of Angelina Jolie on screen anymore as she's spent the last few years focusing on her directorial career, but it does seem she's ready to comeback in a big way. Jolie is making her way into the Marvel Cinematic Universe, entering talks for a role in The Eternals, a film that will continue Marvel's exploration into all things cosmic. THR has the news of Jolie's casting, but it's unclear what role she'll be taking. The film will be directed by Chloe Zhao, best known for her acclaimed drama The Rider, from a script by by Matthew and Ryan Firpo. The Eternals are an offshoot of humanity who have existed for millions of years and are gifted with incredible strength and advanced technology. Their monstrous cousins the Deviants can count Thanos as one of their number, and we know how big of a deal he is, don't we? 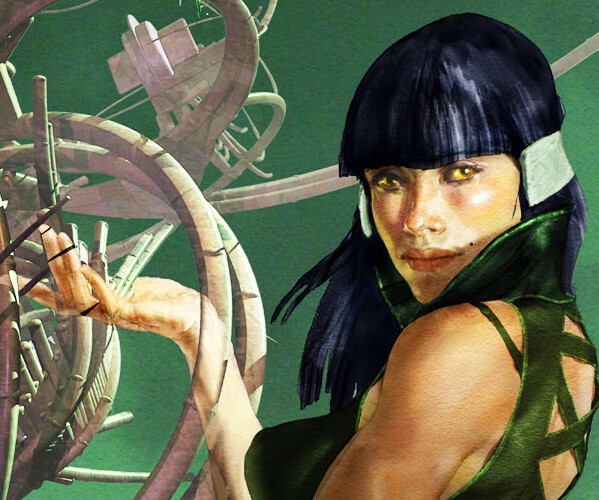 Details are scarce but the report adds “one aspect to the story involves the love story between Ikaris, a man fueled by cosmic energy, and Sersi, who relishes moving amongst humans.” Jolie would be a physical fit for the role of Sersi, who has spent time as a member of the Avengers during her time on Earth. Jolie has dabbled in the world of comic books before, starring in an adaptation of Mark Millar's Wanted, and was pursued to do a sequel for years after. She'll keep it in the Disney family for her next big role in Maleficent: Mistress of Evil which opens in spring 2020. As for The Eternals, it has yet to be given a release date but don't be surprised if all questions are answered at Comic-Con this summer.